BOCA RATON, FL: Charles Dickens may not have completed his final novel, but theatre patrons in South Florida will soon have the chance to finish it themselves when Sol Children Theatre presents The Mystery of Edwin Drood, the Tony Award-winning musical, at Sol Theatre in Boca Raton from June 12 through June 28. This wildly funny and warm-hearted musical begins when the Music Hall Royale (a hilariously loony Victorian musical troupe) “puts on” its flamboyant rendition of the unfinished Dickens mystery in The Mystery of Edwin Drood. The story itself deals with John Jasper, a Jekyll-and-Hyde choirmaster who is quite madly in love with his music student, the fair Miss Rosa Bud; Miss Bud is in turn engaged to Jasper’s nephew, young Edwin Drood… who disappears mysteriously one stormy Christmas Eve. 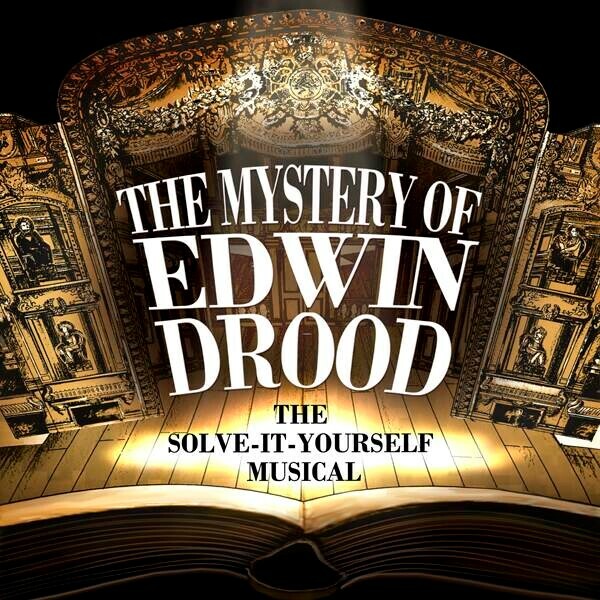 Has Edwin Drood been murdered? And if so, then whodunnit? The giddy playfulness of this play-within-a-play draws the audience toward one of the show’s most talked-about features – allowing the audience to vote on the solution as prelude to a most unusual and uproarious finale! Rosalie Grant and Gisbert Heuer will co-direct/musical direct the production. Murphy Hayes will play ‘Mr. William Cartwright, Chairman’, and Alyssa Buelow is ‘Throttle, Stage Manager & Barkeep’. James Skiba has been cast as John Jasper, Yasmin Adli as Drood, Erin Cunningham as Rosa Bud, and Alexa Baray and Steven Michael Kennedy will play Helena and Neville Landless. Other cast members include Elvin Negron, Robyn Eli Brenner, and Kyle Laing. Ember Everett and Christopher Lam, who recently received excellent reviews in Evening Star Productions’ extremely successful production of The Addams Family will play The Princess Puffer and Durdles. Tickets for The Mystery of Edwin Drood are on sale now, and can be purchased on line at www.solchildren.org or by calling 561-447-8829. Tickets are $15; $10 for children aged 11 or younger. Sol Theatre is located at 3333 North Federal Highway in Boca Raton (33431). For more information about Sol Children Theatre, visit: www.solchildren.org, or contact Rosalie Grant at: solchildtroupe@aol.com /561-447-8829, or Carol Kassie at ckassie@gmail.com/ 561-445-9244.